DETECTIVES investigating the suspected murder of a girl found in barrel on the back of a ute say they want to speak to Zlatko Sikorsky, 34, but have warned the public not to approach him. Sikorsky is believed to be travelling in a silver 2014 Holden Commodore with a sunroof and Queensland registration 966 WKB. He has an extensive criminal history which includes robbery and extortion offences for which he has served time in jail.
" Anyone with information regarding his whereabouts is urged not to approach him but to contact police immediately," police said in a statement. 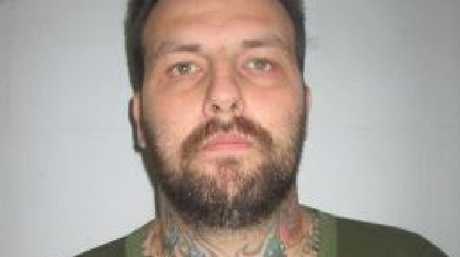 Zlatko Sikorsky is wanted by Queensland Police. 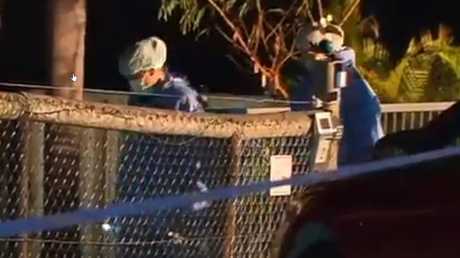 Police swarmed a mobile home park in Brisbane's south on Wednesday after the girl's body was discovered. Officers were attending an address at Buccan about 1.30pm yesterday as part of investigations into missing teenager Larissa Beilby. The man took off from the house in a black ute with a barrel loaded onto the tray and covered by a tarp. "There was a blue barrel with, all I've seen is an arm flapping out, it was a little bit scary," she told AAP. "He pulled out a shotgun and said to me and my partner 'I'll give you two grand if you let me in the gate right now' so we lifted up the gate and let him in," said the woman, who spent most of today at Logan Police Station being interviewed by detectives. Police are investigating the discovery of a deceased person in a utility at Stapylton this afternoon. 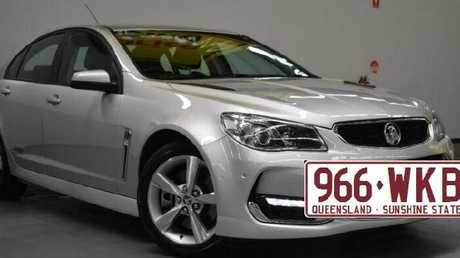 Anyone who may have seen a silver late model Holden Commodore sedan rego 966WKB please call 000. Logan CIB Detective Acting Inspector Scott Furlong confirmed Sikorsky was an associate of Ms Beilby but he said he wouldn't comment further in relation to the body found and said it had not been identified. "I don't know the relationship, we know that they are associated, however we don't know the exact relationship between Larissa Beilby (and Sikorsky)," he said. Insp Furlong said police believed Sikorsky was within the Logan and Gold Coast areas. He said police believed he was travelling alone. Sikorsky was also believed to be associated with an address at Buccan. Insp Furlong warned the public not to approach Sikorsky and said he may present a risk to the public. "We have information that he has access to firearms," he said. "And so what we want to do again is to reiterate to the public that if they are to see him to contact police immediately and advise police of his whereabouts." Sikorsky has run a cleaning business and previously travelled around Queensland for work. At times in the past he spent long periods away to complete work. His online profile says he attended St Laurence's College in South Brisbane. Sikorsky's criminal history includes robbery and extortion offences. He was jailed over the offences and was eligible for parole in late 2016. 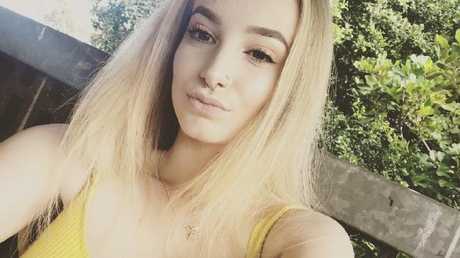 Larissa Beilby The 16-year-old was reported as being missing from Sandgate since June 15 and had not contacted family or friends since June 18. Insp Furlong said police were talking to a number of associates of Sikorsky. On Wednesday, when police arrived at a Buccan address a person left in a black ute. 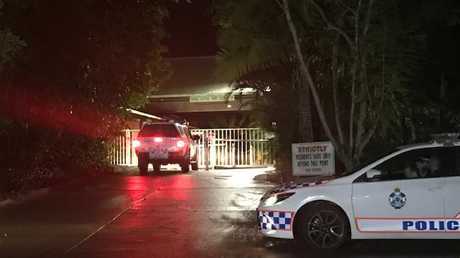 The vehicle was later tracked and located a short time later in a mobile home park at Stapylton, about 30 minutes south of Brisbane, and the man left in another vehicle. A neighbour has told of how he heard a high-powered ute roar out of a driveway on Grassdale St, Buccan, on Wednesday afternoon. The man, who did not want to be named, was being spoken to by police about a missing person when the ute took off. "It sounded like it lost traction as it came out of the drive way," he said. Police were on Thursday still at a house on the corner of Grassdale St and Hein Rd. Several cars, mostly sedans, are parked in the driveway, in front of the house and in a large garage. Police have confirmed they found a teenage girl's body in a barrel in the back of the ute after searching the vehicle. The victim was so badly decomposed police warned it may take two days to identify her. 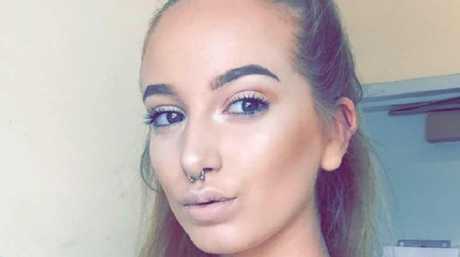 Forensic officers were also working to confirm how she died but detectives said it was being treated as a murder. Crime scenes have been set up at Silky Oak Cres, Stapylton, and about 20 minutes west at Grassdale St, Buccan. Detective Acting Superintendent Mark White said a structured and forensic procedure was under way. "We're in the process of speaking to all of the residents there to canvas any information that may be relevant to what our investigation is focused on," Det Supt White said. Det Supt White said the public should not approach the vehicle but instead call police on 000. Reports suggest the man may be armed. "We're still conducting our investigations in relation to any persons associated with that vehicle," he said. "We're also determining any level of threat that they may pose to the community and also a whole range of other things associated with the investigation." Police are on the hunt for a suspected killer after a dead body was found in a barrel, south of Brisbane. Picture: Kate Paraskevos. Officers say they are looking for a person travelling in a silver late model Holden Commodore sedan with the registration 966WKB. "Police are investigating the circumstances surrounding the death." The tray at the back of the ute was covered with a tarp. Jacob Ridler, a resident at the mobile home park, said when he arrived home about 5.30pm police were everywhere. Forensic investigators arrive on the scene where a body was found in a barrel. He said the black ute, which he hadn't seen before, was "minimum 30m from his house". "I saw the tarps over the back of the ute, they had a truck pulled up to it and there were a number of detectives. "They (police) covered it all up." 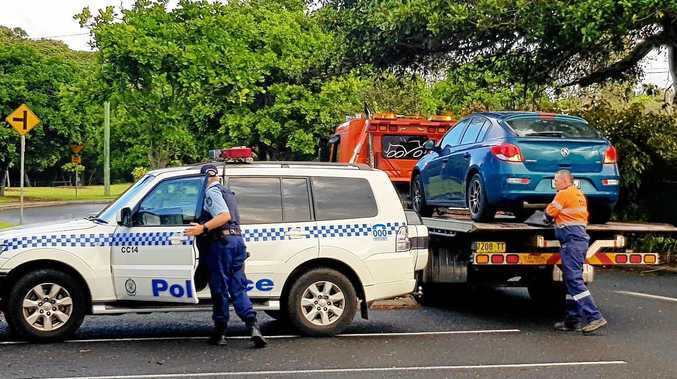 Mr Ridler said he saw police putting the ute in a truck late on Wednesday night.